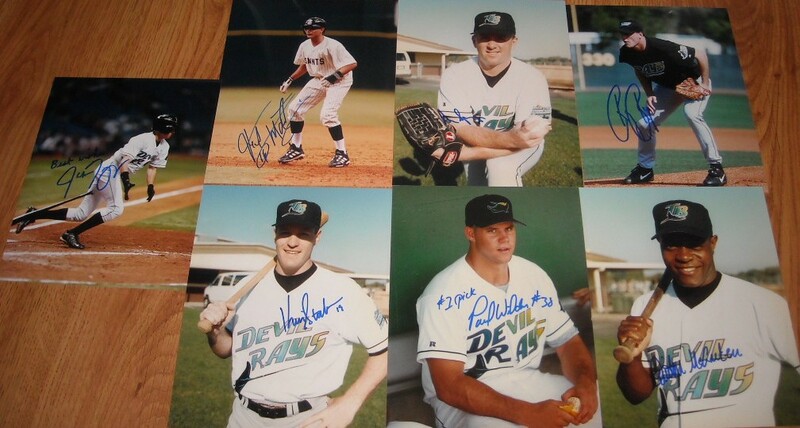 Collection of 7 different Tampa Bay Devil Rays autographed 8x10 photos from the first few years of the team's existence: Felix Martinez, Quinton McCracken, Ryan Rupe, Dennis Springer, Kevin Stocker, Jason Tyner and Paul Wilson. With certificate of authenticity from AutographsForSale.com. 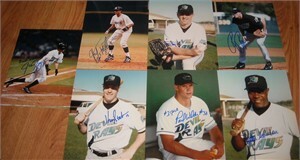 ONLY ONE COLLECTION AVAILABLE FOR SALE.